You've inspired us and we will miss you. We wish you every success in the future and expect no less than great things from each of you. We send you off to the next chapter with all our love. Next year I am off to Duke University in Durham, North Carolina. 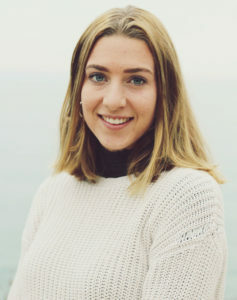 I plan to study Neuroscience and Music on a premed track. Young Lions has taught me how to be confident in my playing and, under the guidance of Gilbert, I have grown tremendously as a musician. I am so grateful for my experience in Young Lions and for all the wonderful musicians and people I have had the pleasure of playing with. I will be attending the New School in Manhattan, studying jazz and contemporary music. I have learned too much in Young Lions to describe in just a few sentences, but it introduced me to a wonderful community of musicians who are now my best friends and favorite people to play with. My life would be very different, and not quite so happy if I had not joined Young Lions. 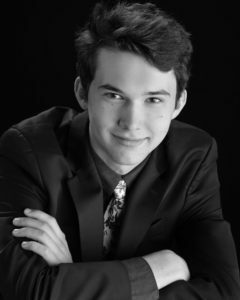 Jason Picker is a senior at Canyon Crest Academy in San Diego and is the pianist in Gilbert Castellanos’s 11am ensemble. 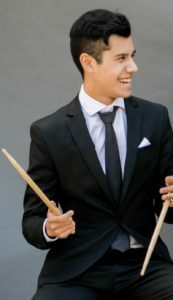 He has been playing jazz since the 7th grade and has become an active member of the San Diego jazz community. 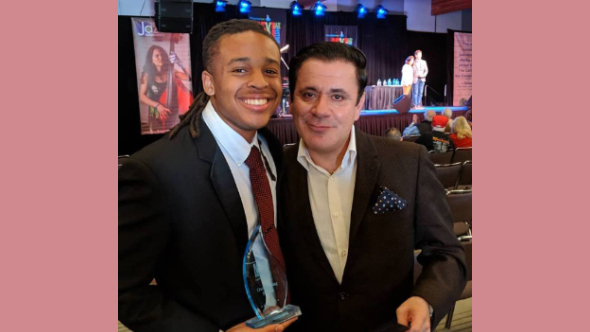 Jason was the pianist for the 2018 Jazz Band of America, a 2018 YoungArts Winner, a 2018 GRAMMY Band Finalist, and a University of North Carolina Kenan Scholar Finalist. 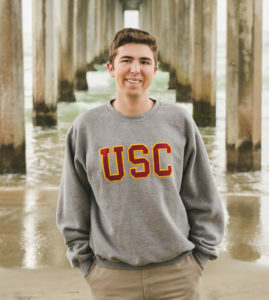 In August he will attend the USC Thornton School of Music on a full tuition Trustee Scholarship. 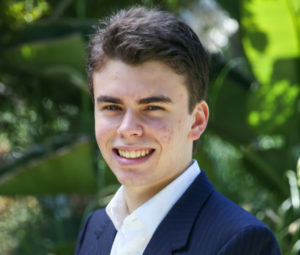 His primarily emphasis will be in jazz performance but he will also study jazz composition, film scoring and business administration. 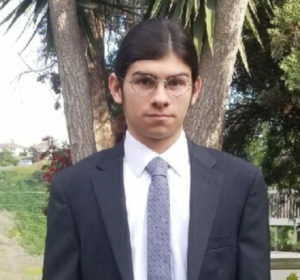 The Young Lions Program has provided Jason with the amazing opportunity to connect with other young musicians in the San Diego area who share his passion for jazz. He truly appreciates the guidance and friendship of Gilbert Castellanos, the Young Lions staff, and his fellow Young Lions. 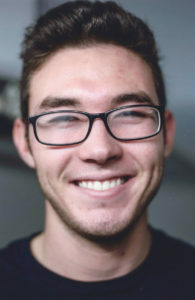 He looks forward to remaining an active part of this wonderful community. 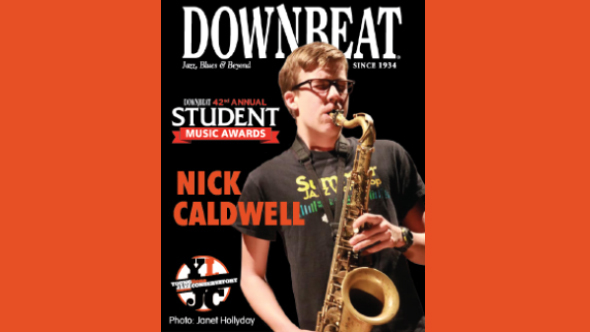 Nick is headed to Boston in the fall to major in Jazz Studies at New England Conservatory. Young Lions, especially the gigs at Panama 66, have taught him leadership, professionalism and responsibility. It is one thing for musicians to play a set list that their instructor provides them. But Young Lions encourages its musicians to collaborate and develop their own set list for these gigs. To see how well the students accomplish this and turn out an amazing show is impressive and will serve them well in their adult lives whether they pursue music, business, or any other profession. Jiakai Chang is honored and thankful to have been a part of Young Lions this year. He will be attending Northwestern University in the fall, though he is yet to decide his major. But whatever he decides, he knows he will definitely take his trombone with him. Thank you to Rob for being the best, kindest, most hipster teacher he’s ever had, and thank you to Young Lions for the opportunity to play with some of the best jazz musicians in town. After graduation I will be studying jazz guitar at DePaul University. 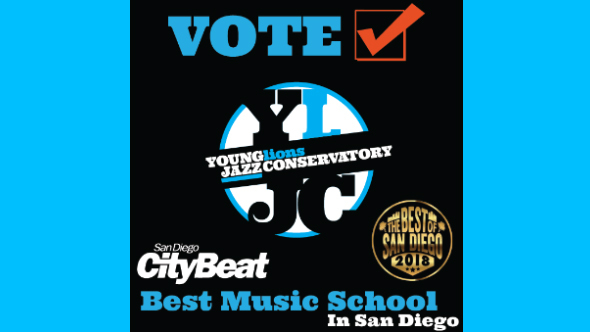 The Young Lions Jazz Conservatory has provided me an educational opportunity that I could not have gotten anywhere else in San Diego. Young Lions draws great musicians, so I had the opportunity to play with great student players. The environment is encouraging and brings out the best in all of us. The caliber of instructors is the best. We also got great opportunities to gig, including playing the Copley Symphony Hall lobby for Jazz at the Jacobs events and the Monterrey Next Generation Jazz Festival. I will be going to college at the Eastman School of Music in Rochester, New York. At Eastman I will be majoring in jazz saxophone with a planned minor in classical composition. 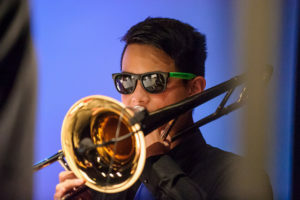 By participating in Young Lions I have increased my knowledge of the jazz form in improvisation and in group playing. Working and learning under mentors Rob Thorsen and Gilbert Castellanos has really transformed my playing, taking it to a new level. I have been playing alto saxophone since the 5th grade. I first decided that I wanted to play jazz when I met Gilbert Castellanos at a production of Federal Jazz Project. I’m planning to go to City College and transfer to University College Cork for Archaeology. It was an honor to have the opportunities presented to me by the Conservatory, and I believe that the musical skills I have learned will impact me for the rest of my life.